More patience is needed with venture capital (VC) in Canada. Investments have grown steadily in the last few years; however, the rewards for investors are fleeting while more work is required to support the nation’s entrepreneurs and keep them from setting up shop abroad. VC is critical financing for startups and small businesses thought to have long-term growth potential. Venture capitalists not only supply funding but also advise small enterprises. VC can be needed at several stages of a company’s development until “exit,” when the firm goes public or is acquired by a larger company and the venture capitalist realizes the return on investment. In the United States, companies are choosing to stay private longer. The average time for a company to exit hit over six years in the first half of 2017, according to data platform PitchBook. More and more, firms are able to get VC funding as they scale up. Thus, the need to exit earlier is declining. Especially in the United States, there’s plenty of VC money to go around. “There’s almost a record amount of ‘dry powder’ in the industry,” says Mike Woollatt, CEO of the Canadian Venture Capital and Private Equity Association (CVCA), in a phone interview. As companies stay private longer, it leads to bigger exits (measured by average dollar size). However, Canada is falling behind the United States and Great Britain, as its average deal size increased only 16 percent since 2013, whereas deal sizes have gone up by 77 percent and 123 percent respectively in those other two jurisdictions, according to analysis from BDC Capital, the investment arm of the government agency Business Development Bank of Canada. We want local Canadian VCs to write more and bigger checks. This is more evidence to suggest that Canada struggles to scale up companies effectively. It also points to the relative lack of initial public offerings (IPOs), which typically make for larger exits. In 2016, the median Canadian exit was just C$18 million, whereas in the United States it was C$164 million. The majority of young Canadian tech companies can expect to be acquired instead of going public. The one notable exception is Shopify’s $150 million IPO in 2015, which was a “watershed moment” for Canadian VC according to OMERS Ventures CEO John Ruffolo. In 2016, C$3.2 billion in VC investments were made in Canada—a banner year. Woollatt says 2017 should be roughly on pace with 2016, but according to a survey conducted by the Canadian Entrepreneurship Initiative, it’s still not enough. Lack of capital was cited as the primary barrier for 80 percent of aspiring Canadian businesses. BDC Capital, the country’s most active VC investor, reported 10-year returns on its investments have reached up to 4 percent. Ten-year returns of the Cambridge U.S. VC benchmark have been stable at about 10 percent. While the Canadian return is low, the benefit with VC investments is portfolio diversification. Ruffolo said in an interview with the PE Hub Network that it has a low correlation to other assets. This is valuable in that it can provide stability in an overall portfolio’s return since it doesn’t typically rise and fall in synch with other investments. “It makes no sense to go without an allocation [to VC],” Ruffolo said. Foreign VC investors are critical to the Canadian ecosystem, but they can effectively lure away Canadian talent. The pull from Silicon Valley has always been strong. Currently, foreign investors make up a larger proportion of later-stage financing than they do at the earlier stages. “Too many engineering graduates are still leaving our country. We have to give them a reason to stay,” Ruffolo said. The federal government’s Venture Capital Catalyst Initiative (VCCI), announced in Budget 2017, aims to assist later-stage companies to scale up. 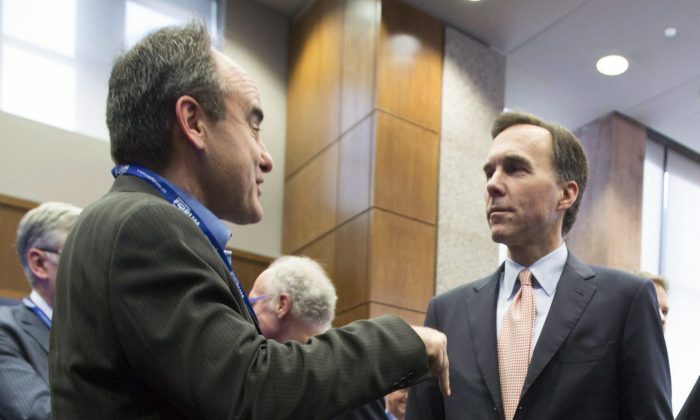 The feds have received recommendations on the program’s design from the private sector and aim to make investments by the end of the government’s fiscal year next March. Woollatt says the government is doing the right thing, although much work needs to be done quickly to meet the government’s deadline and get more Canadian capital in the system. The CVCA advocates the fund of funds model, which was used for the government’s successful Venture Capital Action Plan (VCAP) that focused on earlier-stage companies. The model allows more funds to be leveraged—up to C$1.5 billion in matching funds for the VCCI—from the government commitment of C$400 million. “It’s amazing leverage for the ecosystem and it brings a whole bunch of new players, so it’s great from our perspective,” Woollatt says. Through the fund of funds model, the VCAP turned C$400 million from the government into investments of C$1.35 billion, including from many first-time investors in Canadian VC. The government support of later-stage VC in Canada should also help keep more Canadian firms in Canada by tilting the proportion of funding closer to more domestic VC firms and potentially lessening the need for them to move operations outside Canada. “If you rely on foreign investment exclusively or to a major extent, you’re relying on another economy to effectively fund your tech investment,” Woollatt says. The amount invested in tech generally follows the strength of an economy. With Canadian economic performance having little correlation to tech, which is driven predominantly by global factors, domestic VC funding is somewhat insulated from external factors and should keep improving as the Canadian economy heats up. “We want local Canadian VCs to write more and bigger checks,” Woollatt says.